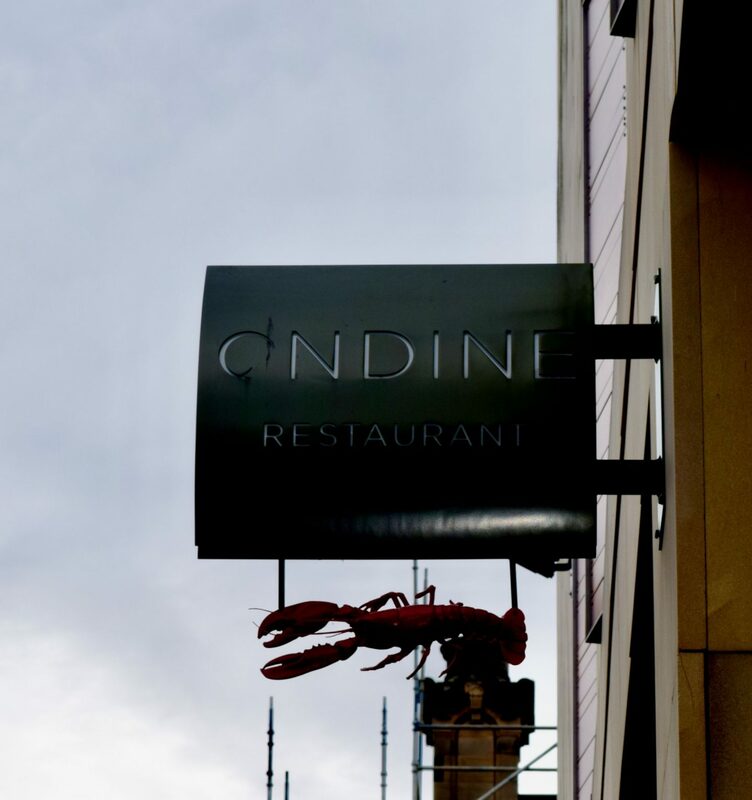 When it comes to dining out in Edinburgh, few restaurants have a reputation which could challenge Ondine. It’s one of those places you’ll be recommended to visit if you’re celebrating a birthday, or are after a rather special evening out. So, when an invitation popped appeared in my inbox, inviting me to check out their new Spring lunch menu, I RSVP’d sharpish. The restaurant is perched on the first floor on the George IV Bridge, it’s a haven of tranquility within the buzzy, slightly touristy Old Town. 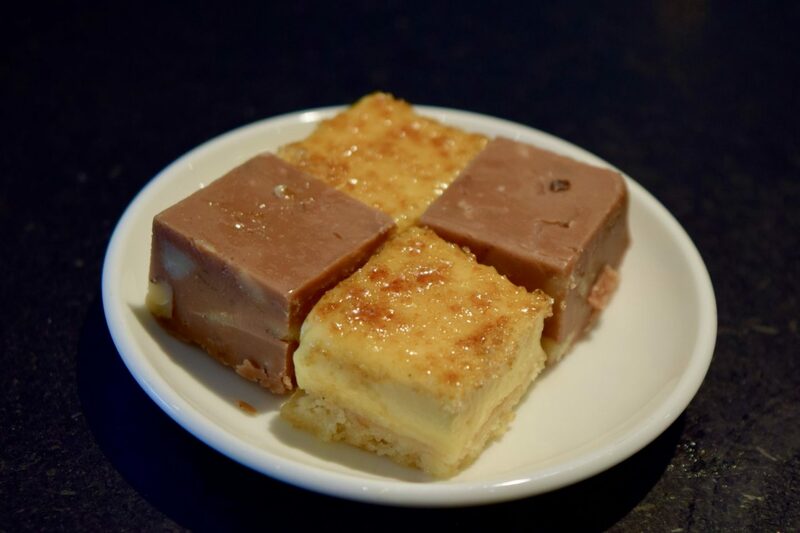 With a stylish, geometric interior, and a fresh seafood bar which has to be seen to be believed, this is a restaurant which would be as at home in the centre of London or New York as it is in Edinburgh. It was a lovely mix of Edinburgh bloggers and journalists, and as we perused the menu, we were treated to a selection of gougeres, and for the gluten-free amongst us, there was smoked salmon, capers and aoli. The cheese puffs were an absolute delight – airy, buttery with a distinct cheesy tang, they were dangerously more-ish! Then, once the introductions were well underway, we were presented with a platter of oysters each. With the choice of fresh and breaded, I went for the raw one first. Bought in fresh from the shores of Morecambe, they were a plump blast of seaside-freshness. I know people can be a bit funny when it comes to raw seafood, but it slid down easily. The breaded option was an absolute revelation. The cooking turned the oyster into a rich, buttery morsel which paired well with the accompanying mayonnaise. When it comes to dining, I’m a big believer in keeping things as simple as possible. 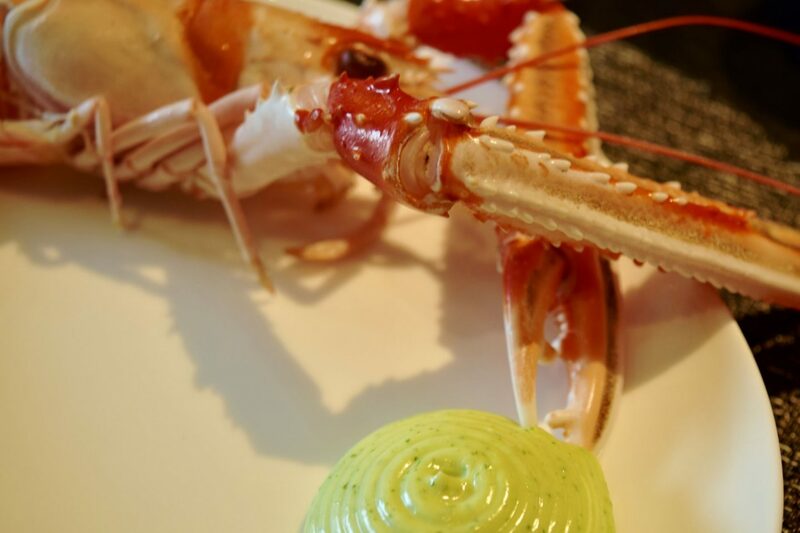 It allows the quality and the flavours of your ingredients to shine through, and our starter couldn’t have been simpler – a single Skye Langoustine served with wild garlic mayonnaise. The langoustine was an absolute joy. Sweet and mild in flavour, it was an absolute joy of a dish. The vivid accompaniment was a wild garlic mayonnaise which was at once sweet and garlicky. It was the perfect summer starter – light enough to enjoy without worrying about the next courses, but absolutely incredible in flavour. Throughout the lunch, we were also treated to a specially selected wine flight, and Muscadet de Sevre which was first up was an absolute revelation. As not much a wine drinker, this one, from the Loire Valley was light and citrusy. I loved it so much, I’ve already bought a couple of bottles for the fridge. I had heard a lot about the Wye Valley Asparagus, which was the star of the show when served alongside crispy quails egg and hollandaise. 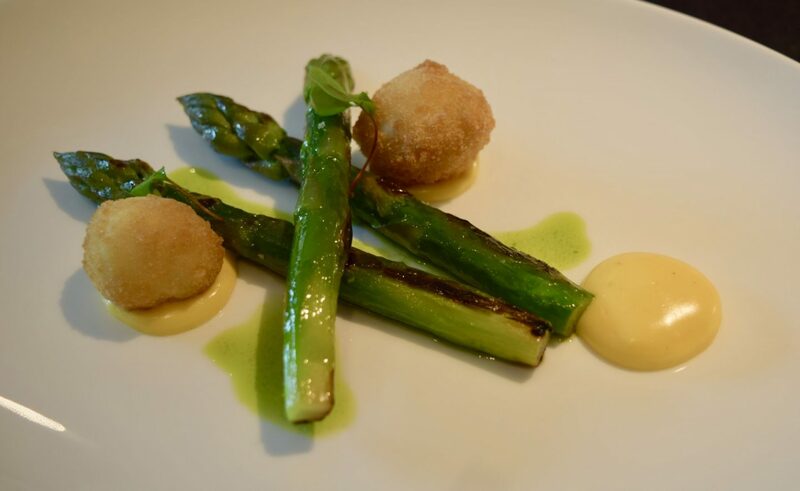 The asparagus had been slightly charred, which cut through the richness of the quails egg and hollandaise. It was such a light, fresh course to enjoy, and again, the apparent simplicity really let the balance and quality of the ingredients shine through. 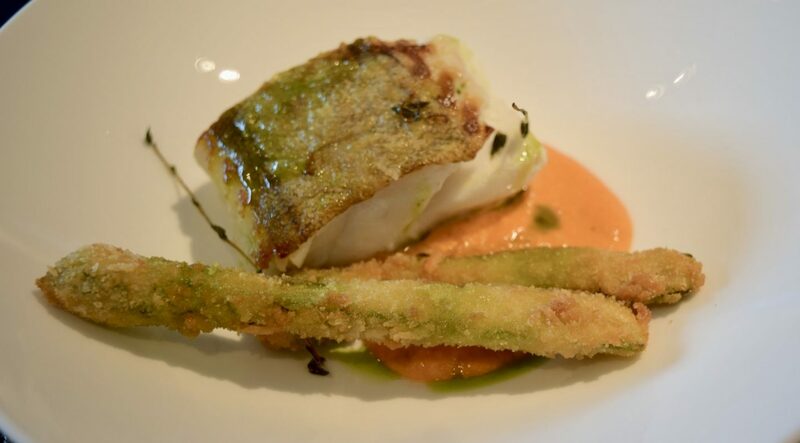 The main course was next, and it was an absolute gem; Roast North Sea Cod, served with Crispy Asparagus and Romanesco. Honestly, I’m not usually a cod-orderer when it comes to restaurants, but this was absolutely divine. The fish itself was unsurprisingly the star of the show – cooked to pearlescent and flaky perfection, it was tender and delicately flavoured, crowned with swathe of crisp skin. The vivid pool of Romanesco provided a flavourful foil to the delicate fish – rich, and punchy with a subtle heat, it was incredible. What really finished the meal of though, was the crispy asparagus. Blanketed in the lightest of batter, they gave the dish a bit of bite. 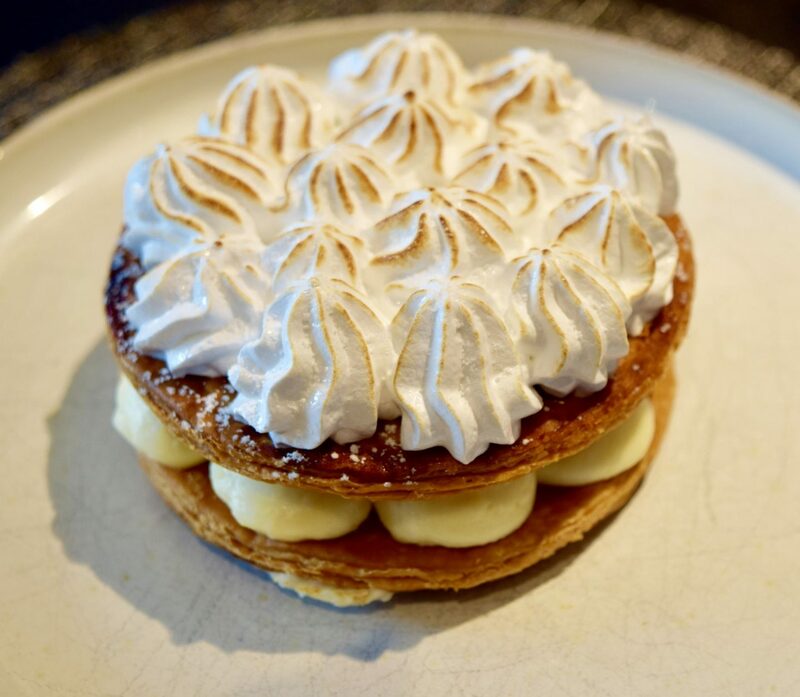 The meal was rounded off with the most divine Lemon Meringue Mille Feuille, which I can been dreaming about, pretty much ever since. Crisp layers of flaky pastry sandwiched a rich lemon cream, and this was topped with a blizzard of soft meringue. The mix of cream and pastry was absolutely divine, and it was such an indulgent way to end an absolutely incredible lunch. The dessert had been paired with a Monbazillac Jour de Fruit, a slightly syrupy, lemony wine which was incredibly ‘sip-able’. The meal was finally concluded with a double espresso and some delicious little morsels. We also had the chance to meet the chef proprietor Roy Brett, which was really lovely, and the enthusiasm he has for the best ingredients was just unreal! 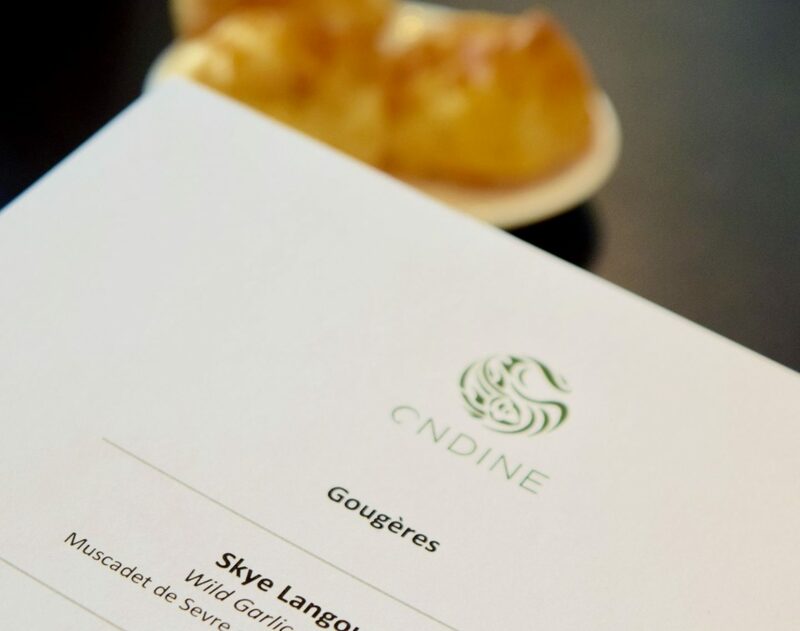 Thank you to Ondine for the fabulous lunch!